In February this year, Public Health England (PHE) published its annual evidence review on e-cigarettes and heated tobacco products. 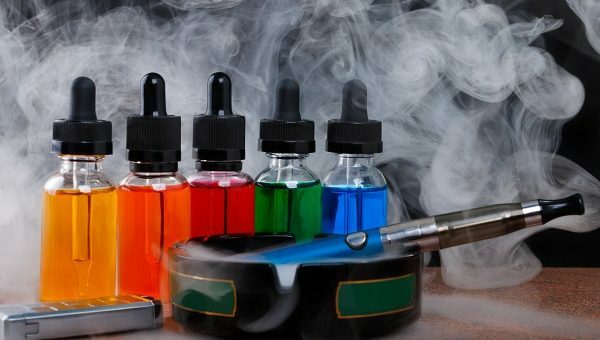 The report challenged public perception and policymaker communication about e-cigarettes, and recommended encouraging smokers to switch from smoking to vaping. ‘Based on current knowledge, stating that vaping is at least 95% less harmful than smoking remains a good way to communicate the large difference in relative risk unambiguously so that more smokers are encouraged to make the switch from smoking to vaping’, reads the report’s executive summary, which goes on to point out that ‘It should be noted that this does not mean e-cigarettes are safe’. The report caused an immediate stir among the online community of healthcare professionals (HCPs) in the UK and internationally, with opinions divided about the wisdom of encouraging e-cigarette use over other approaches to smoking cessation. The mood of HCPs on the day was well expressed in a Tweet posted by West Yorkshire-based public health registrar, Caroline Tomes, who pointed out that public health professionals are divided on the subject of e-cigarettes. Discussions around e-cigarettes fascinate me. Public health professionals are united on many fronts – but so incredibly divided when it comes to e-cigs. When PHE tweeted Cancer Research UK’s post, Heather Gallagher, Associate Director of Midwifery in Northampton, was one of several HCPs who shared it. PHE and Cancer Research UK were not the only public health influencers that sparked discussion among the online community. Northumbria NHS Trust had already been working towards implementing an entirely smoke-free environment from 1 April 2018, with smoking not permitted in any of its hospitals, community sites or grounds across Northumberland and North Tyneside, and taking down its former smoking shelters. On the day of its switch to smoke-free, the Trust tweeted a clarification about e-cigarettes, which – unlike cigarettes – it does allow on its grounds. E-cigarettes are permitted on our grounds, but not permitted indoors. Among those who shared the Trust’s tweet was its Lead Cancer Nurse, Amanda Walshe. While Northumbria NHS Trust made its policy on e-cigarettes clear, other trusts were prompted to develop a position. In Scotland, several HCPs shared NHS Grampian’s Tweet asking for feedback on whether to allow e-cigarettes on its grounds.
.@NHSGrampian would like to gather people’s views on whether they think that e-cigarette use (vaping) should be allowed on NHS Grampian grounds. If HCPs were somewhat divided by PHE’s advice to promote e-cigarettes, it was the policymaker’s recommendation that the products should be made available in hospital shops that was especially controversial and drew significant debate at an international level. “…all smokers including staff and visitors should be able to buy a choice of stop smoking aids (which could include EC) from the hospital shop”, wrote PHE in its blog. In Belgium, Wouter Arrazola de Oñate, a medical doctor who works with the Belgian Lung and Tuberculosis Association, joined an online conversation in which he tweeted his view that PHE does not have a good reputation when it comes to advice on electronic cigarettes, adding that PHE’s report is full of assumptions. In the US, Stanton Glantz, professor and tobacco control activist, tweeted a study which he said challenged PHE’s recommendation that e-cigarettes should be used in hospitals. His Tweet was shared by many HCPs among the international community in the US and Europe. More recently, as new research continues to emerge, HCPs reacted to research published in the Pharmaceutical Journal claiming that e-cigarettes could hinder smoking cessation in some groups. Sharing the article, Dave Bareham, a respiratory specialist physiotherapist, expressed his view in a Tweet that PHE’s position was extraordinary. One thing that most HCP commentators agree on, together with PHE and Cancer Research UK, is that the evidence is still developing. This is reflected in PHE’s report, which states repeatedly that there is a need for continued research. As long-term data emerges, the voice of HCPs on the front lines of public health will continue to provide a rich source of insight. Daniel Ghinn is Founder and CEO of HCP insights consultancy CREATION, leading the team working with healthcare brands. He tweets at @creationdaniel.